Mr. Khayat is admitted to practice in the state and federal courts of Georgia and Alabama, at both the trial and appellate levels, and before the United States Supreme Court. 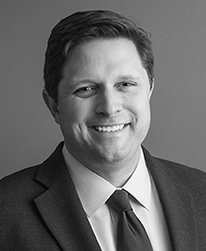 Mr. Khayat's practice is focused on litigation, whistleblower claims under the False Claims Act, and government procurement, with significant experience representing both plaintiffs and defendants. 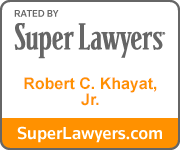 With more than 17 years' of experience, including his tenure as a partner in an Am Law top 50 firm, Mr. Khayat represents clients in litigation across the country at the trial and appellate levels, as well as in arbitrations and administrative proceedings. The matters litigated include breach of contract actions, business torts, False Claims Act Qui Tam litigation, fraud and breach of fiduciary duty claims, government procurement challenges, trade secrets litigation, and proceedings for emergency injunctive relief. Mr. Khayat has significant in-court experience with the ability to draw on highly pedigreed and experienced attorneys as needed. Mr. Khayat can scale firm resources to precisely meet client needs in important matters whether simple or complex. All clients, small and large, receive focused, personal attention. Past President of the Federal Bar Association, Atlanta Chapter. Member of the American Health Lawyer's Association. Master, Lamar Inn of Court. Georgia Super Lawyers, Rising Star, 2010-2013. Martindale Hubbel AV Rated Preeminent.